A San Diego-based destroyer aided three Iranian civilian mariners who reported being attacked by pirates off Yemen, the Navy said Wednesday. A boarding team from the USS Howard provided medical aid, food and water to the fishermen and helped make repairs to their boat on Monday, according to the Navy. The pirate attack was reported by the Iranian coast guard in a call to the U.S. Naval Forces Central Command, which sent a patrol aircraft to the area. 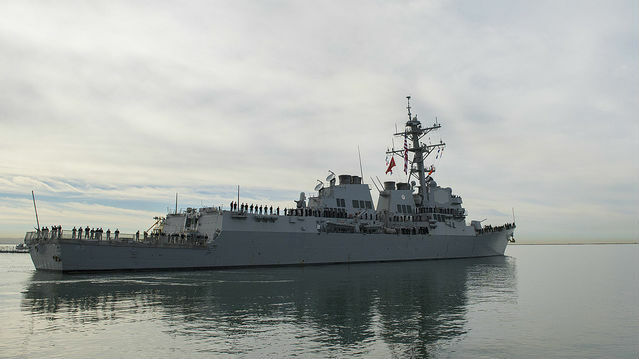 The Howard responded to the scene along with the Japan Maritime Self Defense Force destroyer JS Amagiri. Despite rising tensions with Iran and its revolutionary guards, rescues by the U.S. Navy of Iranian civilian mariners having some sort of trouble aren’t uncommon. The Howard, destroyer USS Pinckney and cruiser USS Princeton left on deployment from Naval Base San Diego on June 5.